If you are searching High Domain sites to make your quality backlinks. Then you are on right place. I will publish your unique article on Padlet.com This is good opportunity to make a High quality backlinks. According to the latest news, google has stop to give importance to the PageRank.So, PageRank don't matter. But DA has a lots of importance to make a better ranking in search engines. 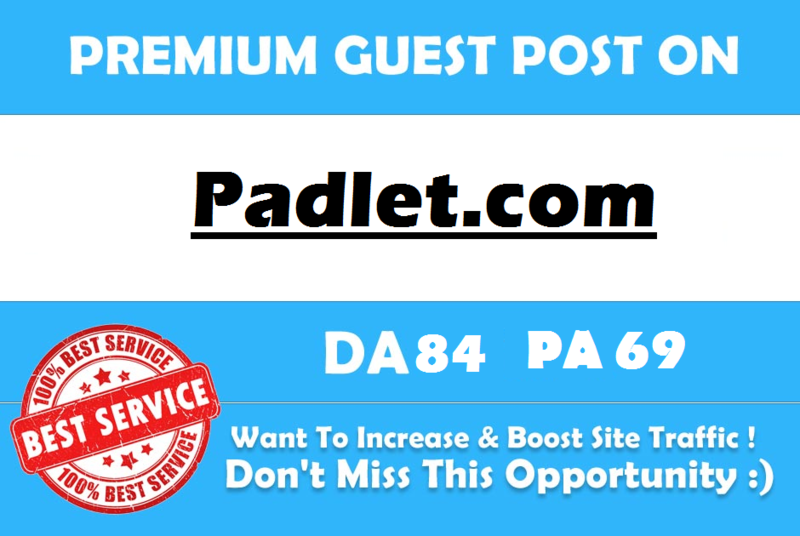 write and Publish a Guest Post On Padlet.com DA 84 is ranked 5 out of 5. Based on 2 user reviews.